We provide the support and training you need to feel equipped and confident in your aged care professional role. We support you to feel informed and equipped to find the right solutions for your clients. We provide the support and professional training you need to be an effective leader and achieve successful outcomes for your organisation. Access information and forums to ensure your organisation thrives with the latest aged care sector changes. Feel informed to make the right choices for your loved ones and your broader local community. 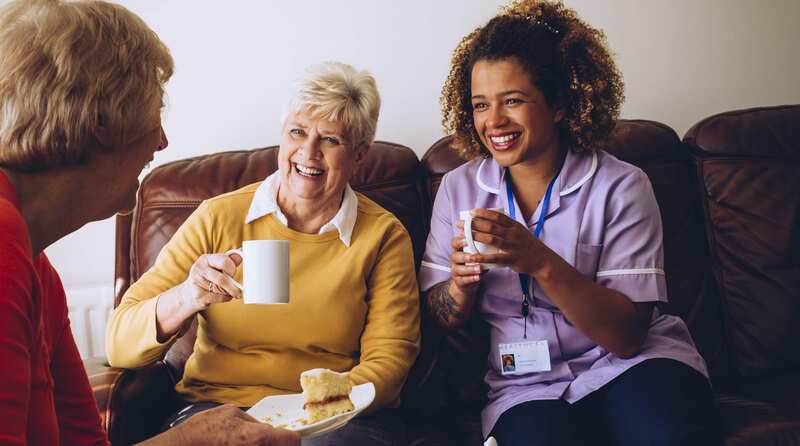 At , our sector support initiatives help to educate and empower staff and organisations overall for the better provision of aged care and CHSP services. Our tailored training workshops, forums and resources will help keep you up to date with the latest sector changes. We support and educate over 929 individuals in the community sector each year, including support workers, case managers, management, directors and executives and the members of the broader community. We are also early pioneers in making communities dementia-friendly and more inclusive for people living with dementia and their families, as well as the overall ageing population. If you are an aged care service provider located in the Northern Sydney Region, get in touch today. We are here to help you thrive professionally and enjoy a rewarding career. One of the best workshops I have attended. Very informative, relatable information and great resources. We are here to help you feel equipped and supported. Love what you do each day. We can help you or your organisation with tailored training and support. If you would like to find out more, let’s chat.